The 2014 Jeep Patriot is not your normal compact crossover SUV. Where others in its class are opting for sleek lines, the Patriot is sticking true to Jeep’s roots with aggressively-sculpted, rugged styling, which gives onlookers an idea of what the 2014 Patriot is capable of. Standard 16-inch steel wheels add to the 2014 Jeep Patriot’s imposing presence. 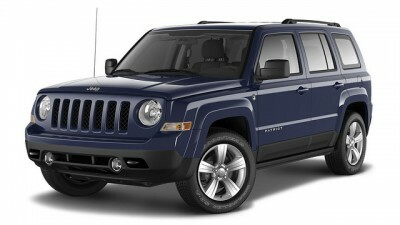 Drivers have the choice of two engines to power the 2014 Jeep Patriot. Base models are powered by a standard 2.0-liter four-cylinder engine that produces 158 horsepower and 141 lb-ft of torque. For a boost in performance, drivers can opt for the available 2.4-liter four-cylinder engine that generates 172 horsepower and 165 lb-ft of torque. The 2014 Jeep Patriot’s base four-cylinder engine is able to return an impressive 23 mpg city and 28 mpg highway, but what is most impressive is that the higher-performing 2.4-liter engine is able to return an identical 23 mpg city and 28 mpg highway. As with most Jeep models, the emphasis of the Patriot’s interior was placed on function over form. Durable hard plastics line the cabin to create a sturdy interior that drivers won’t be afraid to get a little muddy. Available technologies, such as touchscreen navigation and Boston Acoustics speakers, can add a premium feel inside the 2014 Jeep Patriot. Standard safety features on the 2014 Jeep Patriot include stability and traction control, anti-lock brakes, front side airbags, and full-length side curtain airbags. Hill descent control is also offered in upper trims of the 2014 Jeep Patriot.